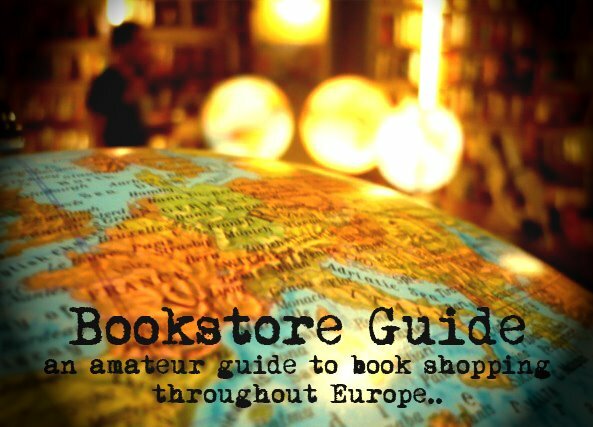 We were recommended this bookstore by the helpful employee of Petra's International Bookshop in Madrid. However, once we arrived to Barcelona and embarked on the hunt for Hibernian Books, we found its doors closed due to their vacation period - unfortunately for us, because we have heard so many words of praise for this bookstore. But then again, everyone deserves a break every once in a while. The bookstore is run by Irishmen: Hibernia is the classical Latin name for Ireland - hence the name. It is considered to be the biggest second-hand bookstore in Barcelona, with over 40,000 titles, both fiction and non-fiction. Hibernian Books opened in 2004 and the primary goal for the owners was to "fill the lack of a second-hand bookshop" in the area. So, they bought 6 tons of books in Ireland and opened a store in Catalunya's capital. It seems that the venture has paid off because only four years later, they have established themselves and left a permanent mark in the Spanish book market of foreign language books. Located in the Barri de Gràcia, Hibernian Books is a primarily English language bookstore selling both second-hand and new books - fiction and non-fiction (sociology, feminism, biographies, books on theater, art and design, literary criticism, etc.). They even have a special room dedicated solely to children and are always very friendly and welcoming. What's more, the bookstore stocks some books in languages other than English (mostly French and German), with the exception of books in Spanish and Catalan. The prices range from low to moderate and you can even sell your English books here, but only for store credit (which you can use later on for the purchase of your books - something quite handy). Furthermore you can find some information on the happenings related to Ireland and everything Celtic in the city of Barcelona. friendly?! you must be joking... Have you seen the signs the put up on their store. I saw once some along the lines of "Your phone conversation is not as interesting as you think. Switch off your phone"
That is because people who use mobile phones in bookshops are an annoyance.